Long-life corrosion protection, sealing and waterproofing of atmospheric buried and submerged metal surfaces. 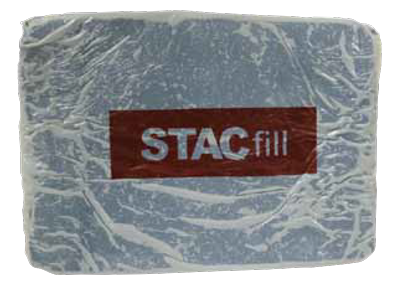 A brush-applied paste that displaces surface moisture, pacifies surface oxides, fills surface imperfections and ensures bond between STACwrap and the substrate. 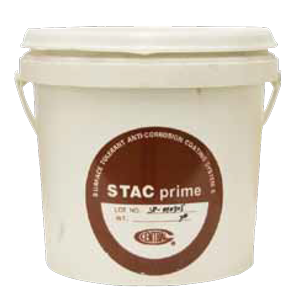 STACprime is highly resistant to mineral acids, alkalis and salts. It will not support combustion, no V.O.C.'s. A putty-like compound used for profiling the contours of valves, flanges, fittings, nuts, bolts and other irregular shapes prior to wrapping with STACwrap. STACwrap is designed for long term corrosion protection, sealing and water-proofing of atmospheric, buried and submerged metal surfaces. 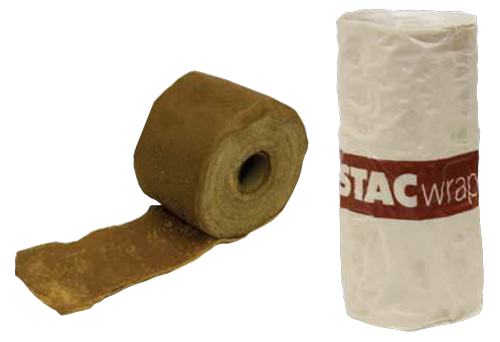 STACwrap remains stable in composition and plasticity over a wide temperature range. 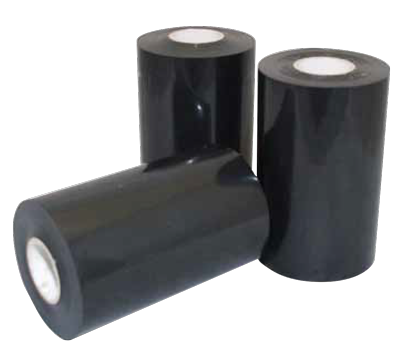 STACwrap accommodates vibrations and extreme movement of the substrate. 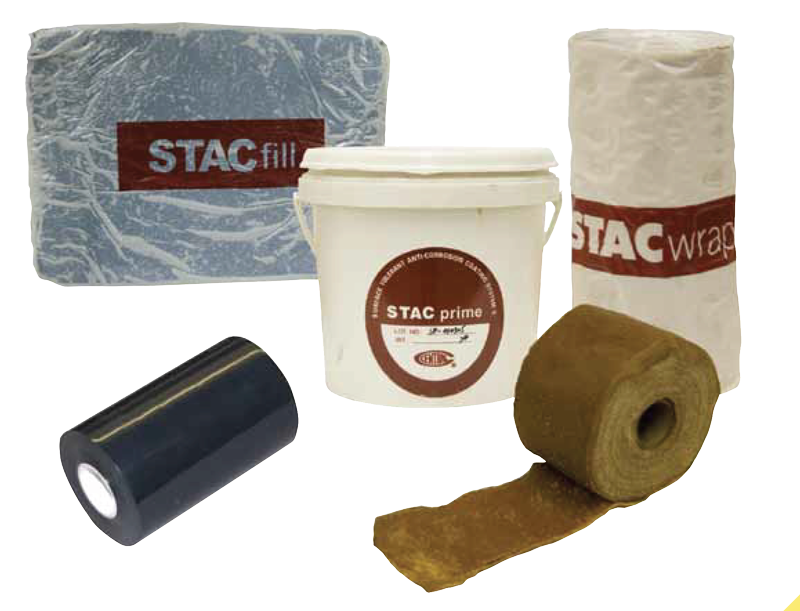 STACwrap is highly resistant to mineral acids, alkalis and salts.